Are You a College Ministry Spork? Chase Abner writes about the danger of being a college ministry spork–when your utility outpaces your capacity. Chase Abner hates sporks. 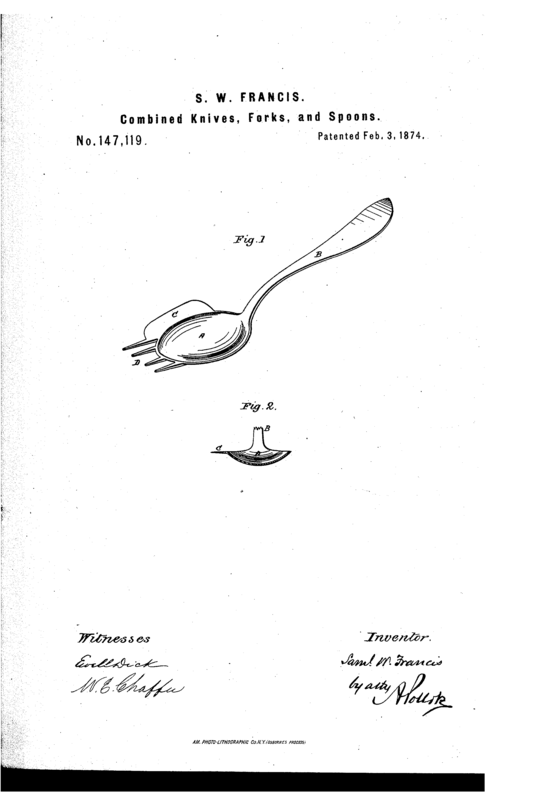 Yes, sporks—those ill-conceived spoon and fork hybrids. As a native Kentuckian, I am certainly a sucker for KFC, but always loathed their longtime practice of including plastic sporks with their chicken dinners. By attempting to make one tool to do the job of two, they made a tool that struggles with the primary job of either. If you don’t believe me, try eating a sirloin or a bowl of soup with a spork. You’ll get by… barely. And for the longest time, I was a college ministry spork. I was trying to play so many different roles in my ministry that I ended up just getting by in a couple and failing in several. I was trying to be the vision-caster, the systems architect, the street evangelist, the missions mobilizer, the international student minister, the relational discipler, and the cool older brother. Oh yeah, I also was managing a large ministry facility. Don’t get me wrong, I am gifted for a few of those roles, but my capacities were depleted as I tried to function in roles that weren’t for me by design. I was on the edge of burnout. In those days, I was a very immature leader trying to imitate the success of others. I was constantly comparing my outcomes as a single-staffer with those of ministries with multiple staff. And I was burdened with the great needs on our campus, honestly desiring more for God. Clearly, God has gifted you and I exactly the way he wanted. And he was just as intentional about the gifts he didn’t activate within us. It’s just as he wanted. He has put the body together. These truths have set me free in so many ways. Instead of being crushed when he wouldn’t bless all my efforts, I saw that he was guiding me towards a place of flourishing, leading me to embrace the way he gifted me. He showed me places where I needed to share leadership with those who were gifted for such purposes. He comforted me with his wisdom in prescribing a plurality of leaders with diverse giftings within the local church. In other words, God doesn’t need us to be sporks. We can be spoons, forks, or anything else he desires. We don’t have to feel guilty about what we’re not. We don’t have to pretend. Having been the worst of sporks, I want to conclude by offering some simple helps to those who now find themselves in a similar place. 1. The gospel frees you to lead simply. Remember that God loves you because of Christ and not because of the roles you can play in ministry. You’re accepted regardless of skill or outcomes. 2. Know who you are as a leader. Do whatever you can to understand your strengths and weaknesses. In my circles, we talk a lot about Meyers-Briggs and StrengthsFinder. Give those closest to you the freedom to affirm your gifts and to identify your weaknesses. It will hurt at times, but the wounds of a friend are trustworthy. 3. Avoid ministry roles that ask you to be everything. I can think of few scenarios more physically and spiritually dangerous than leading a multi-faceted ministry all alone. Win or lose, you will find yourself physically exhausted and spiritually vulnerable. If you’re in such a role, then seek help in adding staff or interns as soon as possible. It will add work on the front end, but will give so much freedom in the long run. 4. Hire to your weaknesses. Bring people onto your team who outpace you in a number of areas. Whether it’s staff or volunteers, train up gifted people and give them the keys to important aspects of your ministry. If you don’t say no, you’ll end up with far more on your plate than God has designed for you to consume. Avoid the temptation to believe that doing a poor job at something is better than it not getting done. That sounds noble and selfless, but doesn’t take into the account that it will deplete your capacity to do the things God has gifted you to do. I know this is hard for a lot of us in college ministry. We care so much about the mission that we let our utility outpace our capacity. I believe that passion honors God. But I believe that embracing and resting in his design honors God more. So be a spoon or a fork or whatever, but don’t be a college ministry spork.